With car-free town centre, lively après ski and strong snow record, St Anton ranks among the world’s must-ski destinations – but the resort is also home to a fine selection of luxury chalets, where stylish design and Tyrolean charm combine to offer your home away from home in the Alps. The elegant chalet Cristal is a fine example, and features in the latest in our spotlight series. 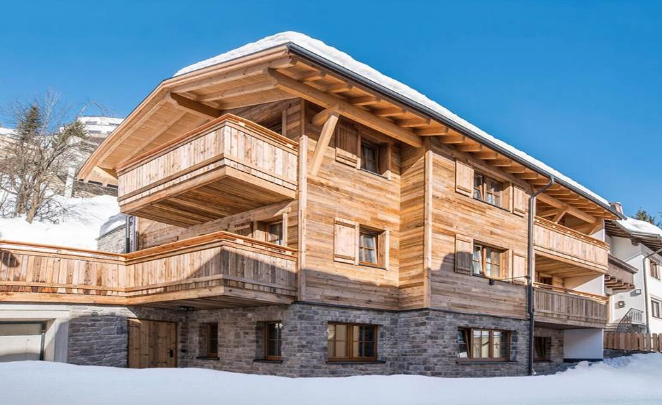 The Cristal is a beautiful chalet of stone and timber design, blending a traditional Alpine aesthetic with plenty of contemporary touches. The property welcomes a total of 14 guests across seven beautifully appointed en-suite bedrooms. For groups of families and friends, the Cristal offers peace and privacy within easy reach of resort centre. The chalet sits a 5-minute stroll from the Rendlbahn ski lift, offering hassle-free access to the snowy slopes of the Rendle sector. Slightly farther onward, the Galzigbahn is St Anton’s main gondola, and whisks skiers directly into the main Arlberg network. Guests in the Cristal enjoy easy access to the heart on St Anton on foot, and can leave heavy ski and snowboard equipment in the nearby ski hire shop. Chalet Cristal offers a remarkably sociable space in which to relax and unwind. The living and dining areas are open-plan with a wonderful feeling of space, and there are comfortable seating areas in which to relax with a glass of wine in hand, sharing stories about adventurous days on the snow. The evening meal is the focal point of the Chalet Cristal’s dining experience, and guests enjoy a delicious 3-course meal with wine – prepared by the dedicated in-house chalet team – followed by cheese board and coffee. Breakfasts are full and hearty, with continental offerings complimented by cooked options, and the afternoon teas include freshly baked cake, bread and jam alongside piping hot tea and coffee. Returning from the slopes, guests in the Cristal can relieve tired ski muscles in the hot sauna. There’s also a cozy relaxation area for two people. Aside from the wellness facilities, the Cristal offers fully en-suite bedrooms for guests’ comfort – most of which have private balcony – and a stylish fireplace set into an elegant stone hearth. 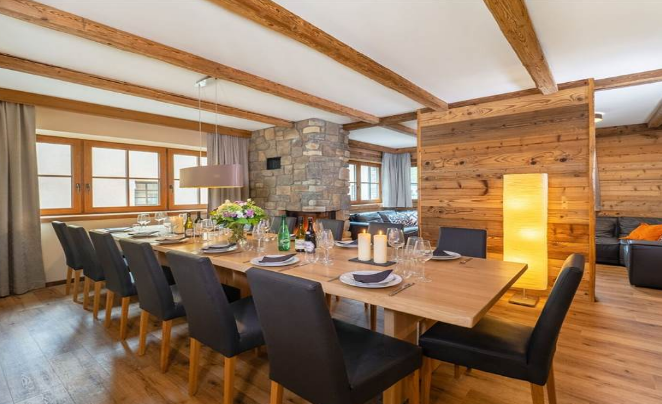 For more details on the luxury chalet Cristal, or for information on the ski resort of St Anton as a whole, call today on 020 3080 0231 or contact us via our helpful online chat service.